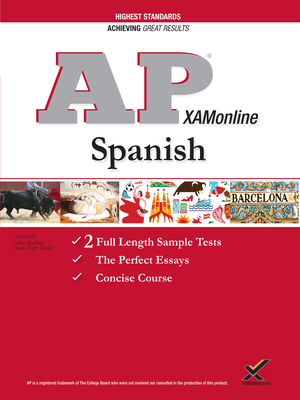 XAMonline AP Spanish full length study guide for Spanish is a great way to launch the AP Spanish course in August. Imagine yourself knowing the format of the test which is much more difficult than the multiple choice tests you may have encountered up to now. However, if you discover this book via word of mouth or simply by surfing the web, you will have more confidence when you have one central place to review the grammar which is more difficult than a routine text. Then review with two practice tests that give you an edge.